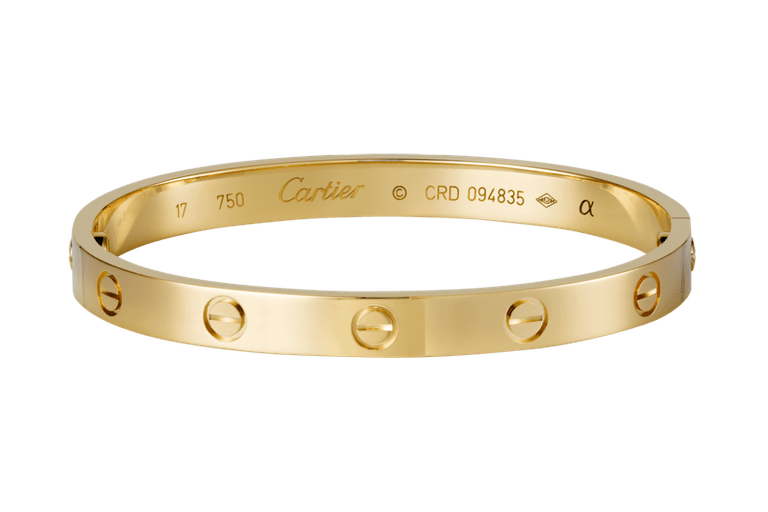 The Cartier LOVE bracelet was first seen in the summer of 1969, created by the late Aldo Cipullo, whose early work for Cartier focused on modern interpretations of ancient designs and legends. The Love Bracelet was Cipullo's interpretation of the Chastity Belt, a device husbands are said to have locked around their wives' waists to ensure fidelity while the men were away. Cipullo designed a two-piece bracelet that bolts together around the wrist. It comes with a tiny screwdriver to take it on and off, symbolizing a "locked up" and committed relationship. Cartier loved the bracelet and implemented a policy: customers could not buy a Love Bracelet for themselves. The company presented his-and-hers bracelets to 25 famous couples. Elizabeth Taylor and Richard Burton, Cary Grant and Dyan Cannon, Ali McGraw and Steve McQueen, Sophia Loren and Carlo Ponti, the Duke and Duchess of Windsor--all participated in the fun. Unfortunately, not all of the marriages "took," but we're sure the bracelets are still as lovely and timeless as ever. A diamond studded version was introduced in 1979 followed by a ring, cufflinks, and earrings. "Listen, honey. I've had a few lovers in my time, and I made each one of them give me a Love Bracelet. For me, these nine bracelets are like the notches on a gunfighter's pistol!" Whether you take the vow of chastity and fidelity associated with the Love bracelet literally, there's no denying that popular culture has come to love these pieces. More recently, Kylie Jenner was seen wearing a layered assortment of LOVE bracelets. Though the original LOVE bangle is the most iconic style, newer modern versions have been released since. This chain Love bracelet featured two interlocking circles featuring the classic bolts. This version is both more relaxed with its design and more affordable. There is no tiny screwdriver to take this style on and off. A simple lobster claw will do the trick. Cartier has added a few new pieces to its LOVE Collection. The LOVECHARITY Bracelet is fashioned with a knotted silk band that displays a miniature, pink gold version a Love bracelet at its front. When this bracelet was first launched, Cartier donated $100 from the sale of each LOVE bracelet to its corresponding cause. Even Cartier doesn't believe the misinformed jewelry myth that you can't mix metals. This version of their Love bracelet is perhaps the most glamorous and expensive. The dual bracelet is fashioned in white and rose gold and set with interspersed diamonds. Think the Love bracelet is primarily for 'locking up' women in committed relationships? The company professes that each design is unisex. Feel free to attach a LOVE bracelet of your choice onto your partner, regardless of their gender. 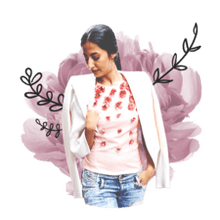 Can Rose Quartz Help You Fall in Love?